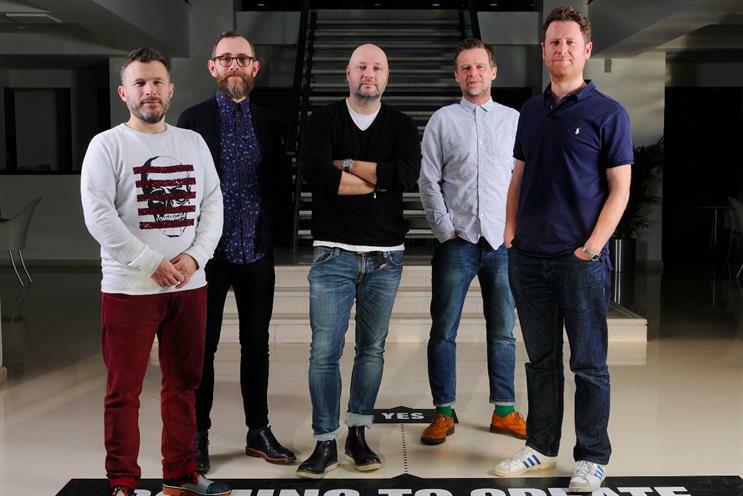 Mark Goodwin, Jason Lawes, Sam Ball and Dave Bedwood are to jointly run M&C Saatchi London's creative department in changes that have resulted in the departure of Elspeth Lynn. Goodwin, Lawes, Ball and Bedwood will remain creative directors but will now have overall responsibility for the clients that they work on. Grant Parker will continue in his role as head of art. Tom Bazeley, who became the chief executive of M&C Saatchi in October 2014, led the restructure. Bazeley, Ball, Bedwood and Dave Cox founded Lean Mean Fighting Machine, which was bought by M&C Saatchi in May. Goodwin has worked at M&C Saatchi since 2000. Lawes, who was previously a creative partner at The Red Brick Road, joined in February 2014. Bazeley said: "We are relooking at how the whole agency is structured and putting the creative integrity of our work right at the heart of that. In a communications world where ideas can come in many shapes and sizes, I want the person making the ultimate creative decisions to be deeply involved in the account. "They will need the time and space to understand the business challenges, provide inspiration, write ideas, encourage innovation, nurture people and deliver smart, brilliant and newsworthy ideas. Having one person working at a very high level isn’t the way to achieve this." Lynn was hired as the executive creative director in February 2012 from Profero, where she had held the same position from 2009. She replaced Graham Fink, who had moved to Ogilvy & Mather China.